Just as I thought, this year is starting out with a bang. As it is said, ‘no rest for the weary’, it is a true saying. I have a lot of things on my plate, don’t have room for anything else at the moment. 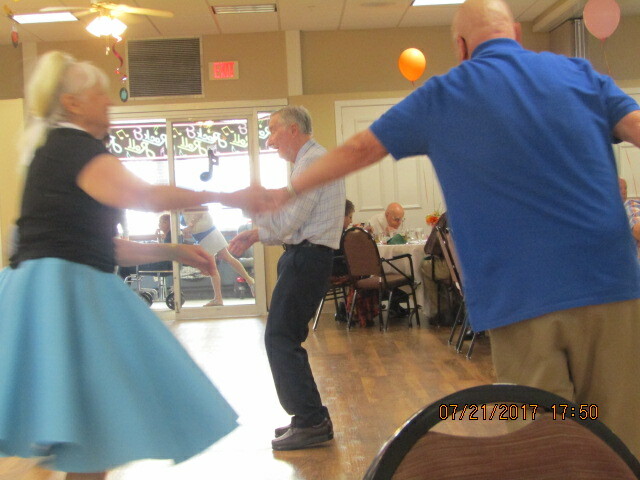 It is also said that staying busy and/or active keep old bones like mine spry. Nothing is ever said about being tired (smile 🙂 ). I’m staying busy. 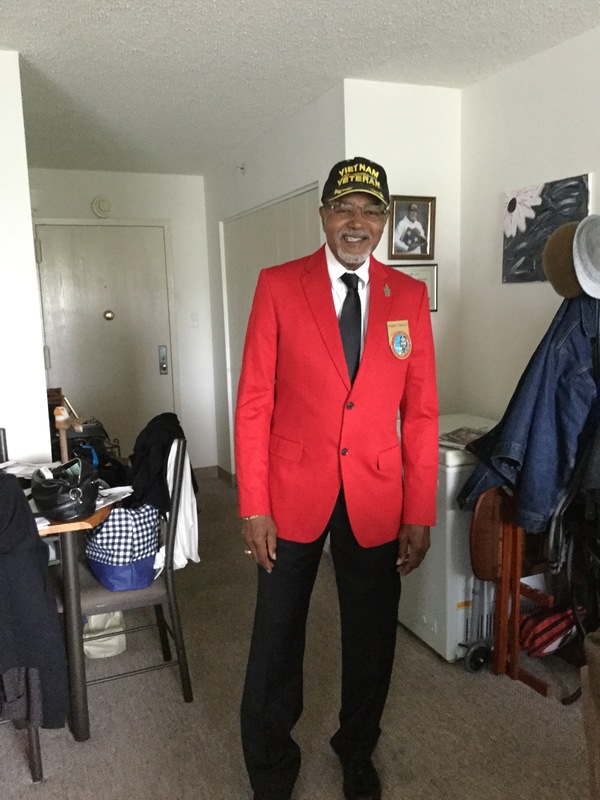 I have a Tuskegee Airman program at the Virginia War Memorial coming up, red sport coat and all (see photo). Here at Imperial Plaza the Resident Council and the Activity Committee have a lot to do, like I’m not busy enough. That does not include things with my wife, trips, a few specialty doctor appointments (nothing serious), activities here at Imperial Plaza and I can’t forget my part-time job (always something to do there). I have been at the part-time job a lot lately because so many people are out sick (two were admitted into the hospital). I guess all the activity keep me from all the sickness that is going around. Don’t have time to stop now, gotta keep moving (smiling again). Don’t rave about the intermittent warm weather we are having since the extreme cold we experienced a little while ago. Remember, January and February can become madding in Virginia where, at times, you’d think you are in the arctic. Yet, I have noticed many people at Imperial Plaza outside with coats open (being stylish), wearing short pants and, at the malls wearing flip-flops. Cold is cold and the older a person get the more the coldness have a bad effect on the body. This may have been okay in a person’s youth but a senior’s body may or may not feel uncomfortable. All of a sudden, this adverse effect from the cold will take a toll on the body. Flu, pneumonia or bad colds can mean catastrophic illnesses that a senior may or may not be able to fight off. It is better to be cautious than to suffer the consequences. Had a birthday a few days ago. Thanks to all that sent me a birthday wish, THANKS! I worked on my birthday, as usual. Someone asked me why, I told them I can count the number of no work birthdays on one hand. As a senior, I hate to think of birthdays because the older you get the fewer you have left, if any. Not many remember my birthday anyway so I don’t fret, it’s just another day but I better not miss their birthday.. I have been monitoring Facebook, especially the Hahn Hawk page. There have been a lot of activity lately, the comments and pictures have made me realize I’m not young anymore. Most of the guys on the site were just kids when we were there, I was middle aged, now they are having grand-kids, etc. and I have great grand-kids. I served in Viet-Nam but people here served in WWII and The Korean War, they look at me as a youngster. I say that to say this, stay young as you want to be by moving around and keep your eye on the weather, protecting yourself accordingly. Black History Month is here. Keep in mind what the sacrifices were for. Pray for us that were on the front lines and continue the fight for us. Not only for Black people but for all people. There are factions that are against this and there are many that want to do harm, however, fight on and maybe, one day, the clouds of hate will part and the sun will shine.